Whether you’re purchasing hearing aids in Houston or need assistance managing certain ear, nose, and throat procedures with high deductibles, CareCredit and Houston ENT and Allergy go hand-in-hand. The costs of cutting edge technology in medical care are rising. These new advancements offer treatment options far more advanced than anything we’ve seen before. The costs involved in utilizing the latest technology can be prohibitive in one lump sum. That is where CareCredit® comes into the picture. CareCredit is a type of health, wellness, and beauty card specifically for medical and dental procedures and services. For nearly three decades, CareCredit has helped patients numbering in the millions received their desired and needed care. You can use CareCredit, which is issued through Synchrony Bank, to pay for out-of-pocket expenses not covered by your medical insurance plan, as well as receive special financing options that you may not get with other credit cards. Whether you use your healthcare credit card to pay for ear, nose and throat procedures and treatments not covered by your medical insurance or to cover your health insurance deductibles, CareCredit is an option. You can even use your CareCredit card to pay for veterinary bills. If you are in need certain medical equipment, like hearing aids, that your insurance doesn’t cover or only covers a small portion of the costs, you might want to consider CareCredit or other financing for hearing aids in Houston. In addition to hearing clinics and ear, nose, and throat specialists, the CareCredit card is accepted at more than 185,000 healthcare locations nationwide. This means you should have no trouble finding a provider that accepts CareCredit whatever your needs may be. Even if you’re looking for an ear, nose, and throat clinic in Houston or a dentist in Timbuktu. CareCredit can also be used to pay for prescriptions and merchandise purchases at Rite Aid’s 2,500 stores in 19 states. One of the favorite things for families using the CareCredit card is that you can use it on anyone in the family – even your pets – and not just yourself or people who are covered by a specific insurance plan. How Does Care Credit Work? Like any other credit card or service, you must first qualify for a CareCredit line of credit. 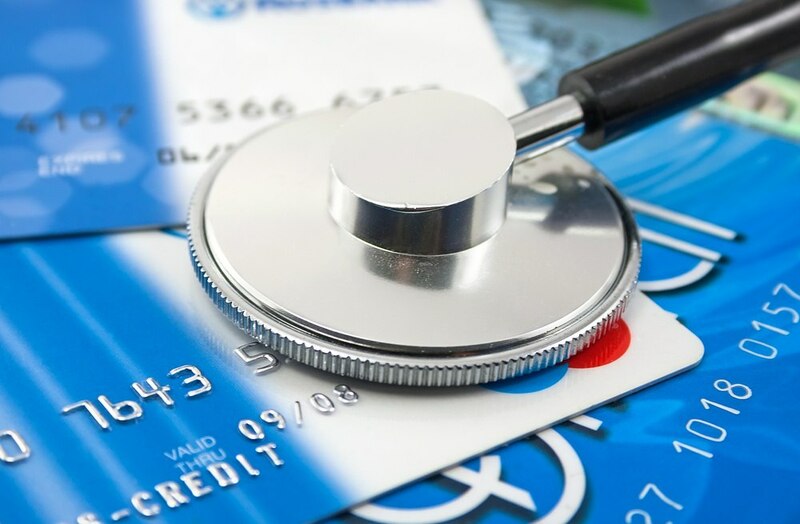 Once you’re approved for a CareCredit card, you can use the funds to pay for a variety of medical related expenses your health insurance doesn’t cover, including your health insurance deductibles. Most CareCredit purchases offer zero interest for financing terms of six, 12, 18, or 24 months for purchases between $200 and $999. Of course, that is only if you make at least the minimum monthly payments each month during the payment period and the balance is paid in full by the end of the promotion period. Like most credit cards, you will incur a late fee if you miss paying your monthly payment by the due date. Some people are not made aware that missing a monthly payment or failing to pay the balance in full by the end of the repayment period results in them paying interest, at the current rate of 26.99 percent, on the full purchase price. If you’re able to pay a portion of your medical expenses yourself, you can use CareCredit to pay for the remaining balance. Additionally, some have discovered that paying only the minimum monthly payment leaves them owing a considerable amount at the end of the payment term. Check the terms and do your own math to determine what your minimum monthly payments should be to avoid this risk. Larger purchases and credit lines result in longer terms for repayment. Below are a few examples of available terms. Purchases between $1,000 and $2,500 can finance for 24, 36, or 48 months at a 14.9 percent interest rates. Purchases greater than $2,500 can enjoy lower interest rate payments on their purchases (only 16.9 percent) and may take up to 60 months to repay the debt. Keep in mind, that the terms of the agreement can change from time to time. One thing that sets CareCredit cards apart from others is that it doesn’t expire. As long as your account is in good standing and you have available credit on that account, you can use your card wherever it is accepted. The one caveat is that you must use your card at least once a year for it to remain active. CareCredit makes it easy for you to view, update and make payments on your account via your mobile phone, tablet or computer. Is CareCredit Your Best Option? CareCredit offers a perfectly viable option for financing expensive medical services and procedures. That doesn’t mean it’s the best option for everyone. While the zero percent initial interest rate offered by CareCredit is attractive, if you’re not certain you can make at least the monthly minimum payment on time, every time, and have the entire balance paid off before the end of the term, then other options, including those listed above, may make better choices for your financial needs. You can apply for Care Credit online or by phone by calling (800) 677-0718. If your healthcare provider is part of the network that accepts CareCredit to pay for their services, you can usually apply for CareCredit right in the physician office. If you’re looking for ear, nose, and throat services in Houston and a way to finance them, consider CareCredit. CareCredit makes it possible to finance these purchases over time making essential services far more affordable. To request an appointment at Houston ENT & Allergy Services, please complete our online form or call us at 281-623-1312.